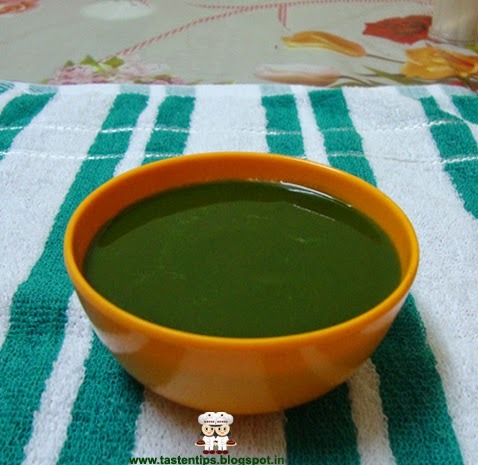 Spinach Soup is one of the nutritious, healthy & low calorie soup. It is rich in iron, minerals. Spinach has developed a reputation for being one of the healthiest foods around. It is very good for those who wants to loose weight. 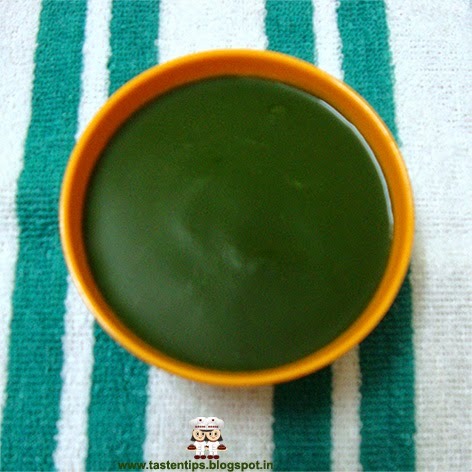 Spinach Soup is easy and quick to prepare. 1. Heat oil in a pan add garlic, onion and stir it till onion become light brown. 2. Now add spinach and cook it for 2-3 mins. 3. Puree spinach in a blender adding 1 cup of water. Strain it using a soup strainer. 4. Mix corn flour to a little water without any lumps and mix well. 5. Pour the spinach puree back to pan reheat the soup. 6. Add water and cornflour mix to soup and bring it to boil on medium flame. 7. Add pepper powder and salt. 8. Spinach soup is ready, serve hot. 1. Milk can be used in place of water to mix the cornflour. 2. For garnishing butter, fresh cream or toasted bread can be used. Healthy and well made soup..
yummy and healthy soup!! love the color!! Very nice soup recipe and this recipe is very useful to me as I already have low count of iron. Will try it definitely. Thanks for sharing such a nice recipe. 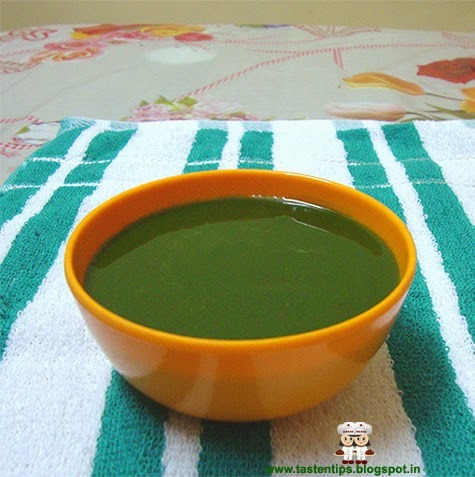 this spinach soup looks absolutely delicious. Looks so yumm...Absolutely delicious !